One more case for the road! 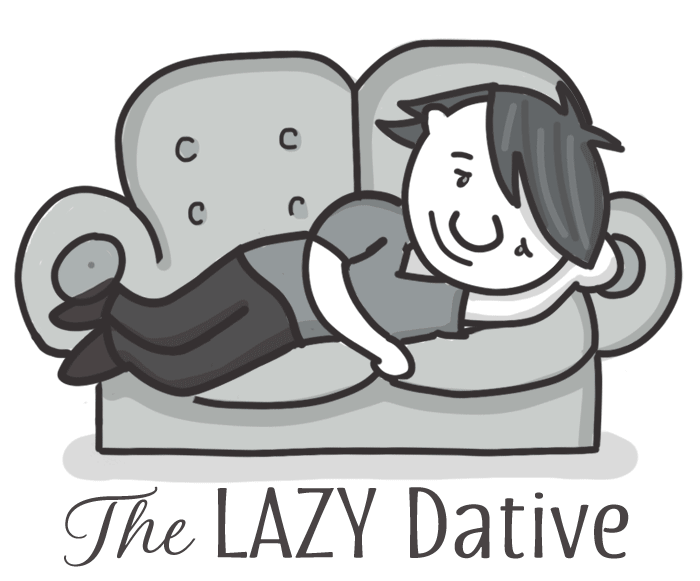 meet the "dative" case — the laziest of all the cases! After that, you’ll be ready to dig into the dative case! Indirect object: Who/what is passively receiving the action or just kind of hanging out in the sentence, doing nothing? Mary opened the door for the old man. Okay, now you try a few. Take a look at the example sentence. Identify the subject, action, direct object, and indirect object. Then click the sentence to see if you were right! Great! 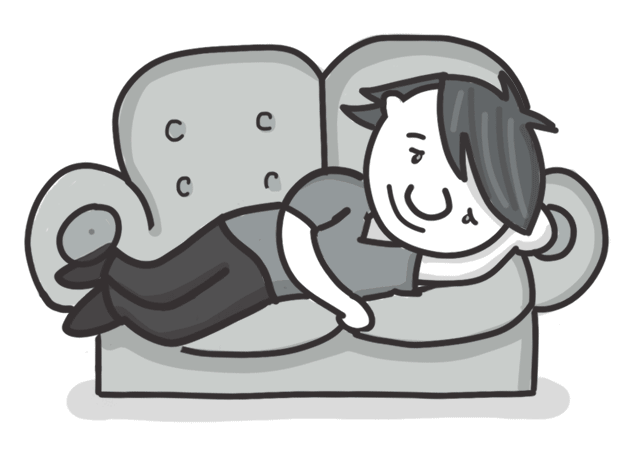 Now that you can identify direct and indirect objects, let’s talk about the dative case. You’ve already learned that we use the nominative case for the subject of the sentence and the accusative case for the direct object of the sentence. Well here's the third piece of the puzzle: If there is an indirect object in a sentence, it needs to be in the dative case. MEMORY TRICK: Remember how indirect objects just kind of passively hang out in the sentence while something else or someone else does all the work? It might help to remember this case as the Lazy Dative. So what does the dative case even look like? Remember, we show the “case” of a noun in German usually by changing the “little words” which appear in front of the noun, such as der/die/das. You probably remember that the nominative and accusative cases were very similar. The only word that changed in the chart was the masculine. Easy peasy. But in the dative case, ALL the words change. That means we have more to memorize. Boooo. Plural nouns in the dative case: Gimme an -n! As if things weren't tricky enough already, if you have a plural noun, and it belongs in the dative case (because it’s the indirect object), you have to add “n” to the end of the noun (unless the word already ends in an “n” or an “s”). Let's look at the plural word "children" (die Kinder) as an example. If children is the subject of the sentence (nominative), we use the word die. But, if children is the indirect object... BOOM, it changes! Not only does die become den, but we also have to add an “n” to the word because it did not end in –n or –s. The man gives the children the book. Right. Let's put all that together and see how it plays out in a sentence. Ich gebe dem Mann das Buch. I give the man the book. Ich gebe dem Kind das Buch. I give the kid the book. Ich gebe der Frau das buch. I give the woman the book. Ich gebe den Kindern das Buch. I give the kids the book. Ich gebe den Chefs das Buch. I give the bosses the book. Intermission: You're right — this is hard. I want to take a little pause here just to offer some reassurance. Don't feel bad if you find this really hard to wrap your head around. It’s one of the hardest parts of learning German and even the best students need a lot of practice. While the accusative and the nominative were fairly straightforward, the dative also tends to be harder to learn because the word that you usually associate with masculine, der, is now what we use for the feminine. And the new word we just memorized for accusative, den, is now what we use for plural. It feels like you've gone to a dinner party, learned who everyone is, and then everyone decides to switch names just to mess with you. Arrrgh! It helps if you start listening to German conversations and reading German stories. It's one of those things where the more you see it, the more it will start to make sense. But also just expect it to take some time to sink in, and don't beat yourself up if you don't "get" it straight away. "Can you help the train find my friend?" It's worth taking the time to knuckle down and memorize the tables. Make yourself some flash cards. You'll get there! The dative case isn't just used for indirect objects (or the things passively receiving something, or just hanging out lazily in a sentence). There are other places it pops up in the German language. Just like we saw when we talked about the accusative case, there are some connecting words (prepositions) that always indicate that the dative needs to be used for the next thing in the sentence. When you see any of these words, it means that it doesn't matter whether the next noun is a direct object, indirect object, or subject. It doesn't even matter. If it's following one of these words, it always needs to use the dative case. Alle sprechen Deutsch außer dem Mann. Everyone speaks German except for the man. Er wohnt bei der Frau. He lives with the woman. Ich spreche mit der Frau. I am talking with the woman. Nach dem Konzert, gehen wir. After the concert, we are going. Ich gehe nach dem Konzert. I'm going to the concert. Wir kennen uns schon seit der Konferenz. We've known each other since the conference. Ich kann Opa von der Arbeit abholen. I can pick up Grandpa from work. I am going to the doctor.